The permit system does not apply to individual users but organisers of larger events must now apply for permission. The Brisbane Valley Rail Trail extends from Wulkuraka, near Ipswich, to Yarraman. Private groups (30 people or less) and individuals involved in non-commercial recreational activities – such as bushwalking or birdwatching – do not need a permit. TMR has warned that it may take up to four weeks to process a permit application as it also has to consultant with local councils, relevant community groups and other State Government agencies involved with the management of the BVRT. Event organisers should also check with TMR’s online calendar to find out if there are any other events scheduled for the same dates. 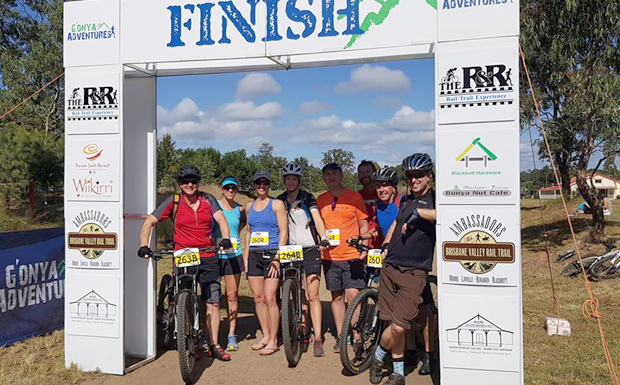 Footnote: This permit system does not apply to events held on the South Burnett Rail Trail from Kingaroy to Kilkivan, or the Link route between Yarraman and Kingaroy.